The LUVO-System improves the thermal degree of efficiency of the process heating system. The energy of the exhaust gases heats up the combustion air temperature. The heat exchanger transfers the energy contained in the flue gas to the combustion air. Energy recovered in this way is proportional to the fuel saving. The amount of the recovered energy percentage depends on the fuel used by the combustion, the temperature of the exhaust gases and regulations for NOx-emissions. For our thermal oil heater and steam boiler with standard burner the thermal efficiency is approx. 84-87%. The thermal efficiency can be degree of approx. 96% with this type of heat recovery System. In all industrial heating processes e.g. The heat exchanger consists of the large number of individual tubes. All individual tubes are fixed and welded at both ends in way end plates. Flue gas is carried out in the individual tubes without any direction change. Air way is carried out around the individual tube by different number of baffle plates. For diminishment of heat losses the Heat Recovery System is surrounded by external heat insulation. The range of performance is customized adjusted to the boiler capacity. 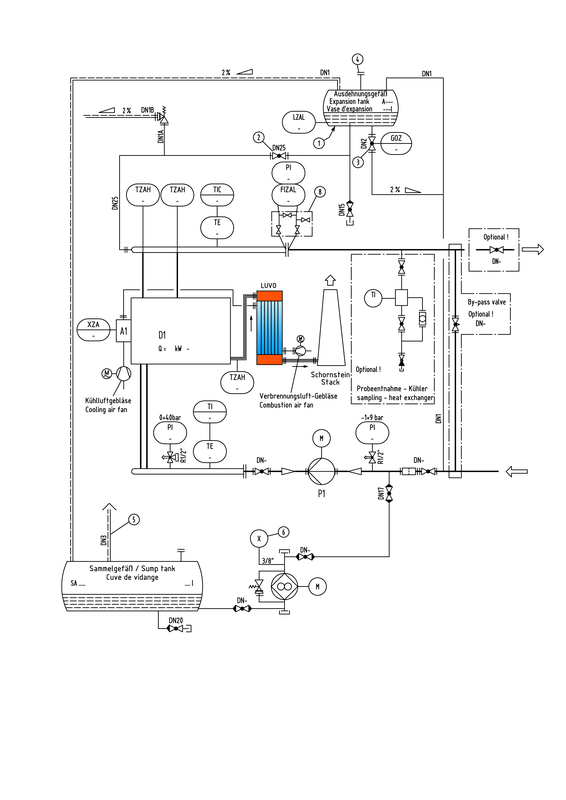 The parameters, flue gas temperature, combustion air temperature, fuel used and regulations for NOx-emissions determine capacity and percentage of the possible heat recovery.